Imagine having your very own life-size, 3D standup TARDIS - the ultimate accessory for the true Doctor Who fanatic. 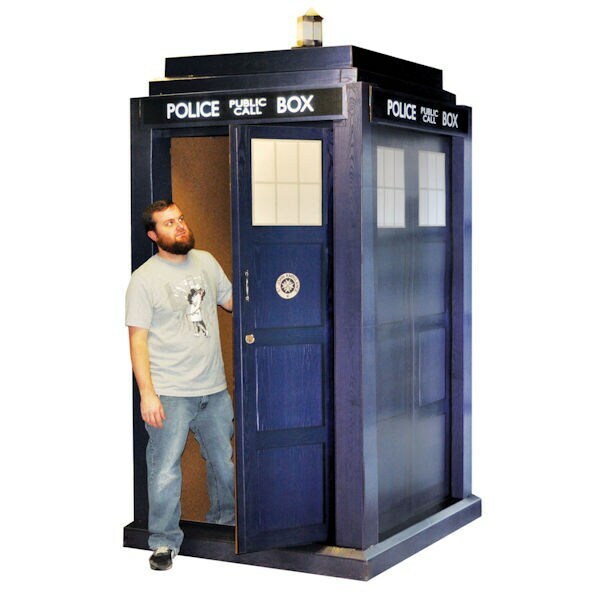 Free-standing Tardis has a functioning handle and a door that opens. Go on - step inside like a Time Lord. Heavy duty cardboard with a built-in easel base, easy assembly. 108"h x 55"w x 55"d assembled. Continental USA only. No rush delivery or gift box. Made in USA. Item can only be shipped within the Continental US. Extra shipping charges for this item: $+35.